In early 2018, we began reviewing our identity and made the decision to refresh our brand to better reflect our warm and humanistic organisation while, importantly, still honouring our founders. Since we first began caring for older Australians in 1947, we have grown significantly as an organisation and now care for more than 2,000 older people. Our years of experience, innovative approach to care, programs, achievements and commitment to our communities have led us to become a leader within the aged care sector. We needed our brand to better reflect the wonderful organisation we are today, and after a long process, we’re excited to share our new brand, which now truly speaks to who we are as an organisation and underpins our values and approach to care. We were founded by Freemasons in 1947 as The Frank Whiddon Masonic Homes of NSW. In 2007, we became known as The Whiddon Group. In 2018, we made the decision to officially change our name to Whiddon to better reflect our brand while still honouring our founders. 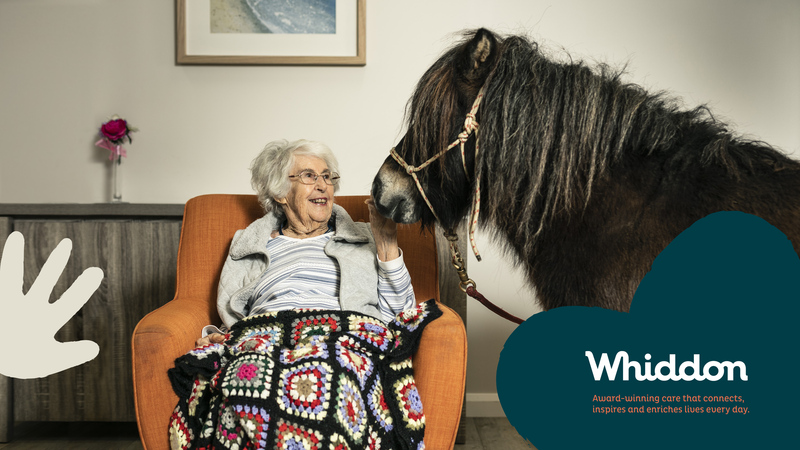 We’re passionate about enriching lives and keeping older people connected to what matters to them in life. We aim to really understand each person through building deep relationships with them, their family and their community. This partnership enables us to care for all their needs – social, emotional and physical – so that they can continue to learn, live, love and enjoy every day.